While a concussion can be serious or minor, you won’t know either way until you see a doctor. And with 4 in 10 high school athletes returning to the field before it’s safe after a blow to the head, according to the Center for Injury Research and Policy, it’s important to have a proper diagnosis. Take the quiz below to learn the signs and symptoms of a concussion so you’ll know what to do if you or a friend might have one. The information provided is not meant to substitute professional medical consultation and treatment. ALWAYS err on the side of caution when it comes to a head injury. If you think you might need to see a doctor, you probably should. Learn the basics about concussions and know how to spot the signs so you can get the medical attention you need. True or False: People with a concussion are always unconcious at some point after the injury. False! According to the Mayo Clinic: The signs and symptoms of a concussion can be subtle and may not be immediately apparent. Concussions are only caused by a blow to the head. Although concussions usually are caused by a blow to the head, they can also occur when the head and upper body are violently shaken. Which of the following is a sign of concussion? Signs and symptoms of a concussion may include headache or a feeling of pressure in the head, temporary loss of consciousness, confusion or feeling as if in a fog, amnesia surrounding the traumatic event, dizziness or “seeing stars,” ringing in the ears, nausea, vomiting, slurred speech, delayed response to questions, appearing dazed, fatigue. If a head injury doesn’t require emergency care, you should still see a doctor. You should see a doctor within 1 to 2 days if you experience a head injury. The American Academy of Pediatrics recommends that parents call their child’s doctor for advice if their child receives anything more than a light bump on the head. When can an athlete with a suspected concussion can return to play? Experts recommend that an athlete with a suspected concussion not return to play until they have been medically evaluated by a health care professional trained in evaluating and managing concussions. Which of the following may increase your risk of a concussion? All of the above. High risk sports, lack of proper equipment or supervision, having a history of concussions, being involved in an accident can all increase your risk of getting a concussion. After a concussion, the levels of brain chemicals are altered. 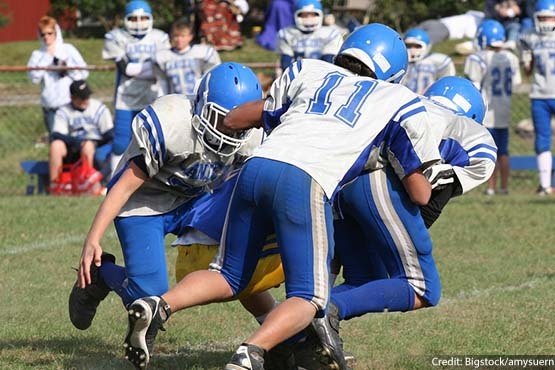 Concussions do alter the levels of chemicals in the brain. It usually takes about a week for these levels to stabilize again. However, recovery time is variable, and it’s important for athletes never to return to sports while they’re still experiencing signs and symptoms of concussion. Neurological examinations include checking your vision, hearing, strength and sensation, balance, coordination and reflexes. Experts recommend that someone stays with concussion patients and checks on them for at least 24 hours after a concussion to ensure their symptoms aren’t worsening. Concussion patients may need to be awaken regularly to make sure they can awaken normally. What’s the most appropriate way to allow your brain to recover from a concussion? Rest is the most appropriate way to allow your brain to recover from a concussion. Your doctor will recommend that you physically and mentally rest to recover from a concussion — that may include limiting activities that require thinking and mental concentration, such as playing video games, watching TV, schoolwork, reading, texting or using a computer. Your doctor may recommend that you have shortened school day or workdays, take breaks during the day, or have reduced school workloads. I disagree with “Rowan T” banding football will break people. I has became a hobby even watching it. I can imagine life without football. Every Sunday I sit in my living room watching the New York Giants or the Seattle Seahawks game with my dad. Its our thing. Football is life and I am a Girl. I am glad I don’t play football I am the CHEERLEADER!! I think that they should ban football, it’s hurting too many people. Sorry football players, you need to find some where else. I like football but I rather play soccer, my favorite sport, than getting a concussion playing football. My favorite sport is Basketball and I have an injured knee but I just have a knee brace on and I still play even when I get hurt I still play because BASKETBALL IS LIFE. I like football but I rather play soccer. I’m sure there are other ways to make football safer than expensive high-tech helmets. I love football and know it can give me a concussion but that wont stop me from playing. I know the risks and that’s a chance I’m willing to take. I scored a 90 on the quiz, and realized that shaking violently can cause concussions also. Along with the fact that some people get worse effects from concussions from going back to playing the sport, not getting looked at, or not being watched for the next 24 hours.